268 pp. + [inhalt]. 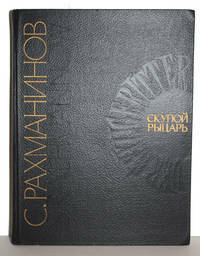 Full score, quarto, black leatherlike decorative cloth elaborately stamped with gilt titles. Previous owner's signature. Triangle cut from ffep. The Miserly Knight, an opera in one act, three scenes, after the text of the like-named tragedy of A. Pushkin. Plate number 6820.